Unfortunately figuring out how to seal polymer clay with liquid clay can be a bit fiddly. It can burn, under-bake, go cloudy, bubble and more. So in this article I'll be discussing some of the problems that crop up and what to do about them. Liquid polymer clay is useful for sealing surface effects before applying varnish, wax or resin. 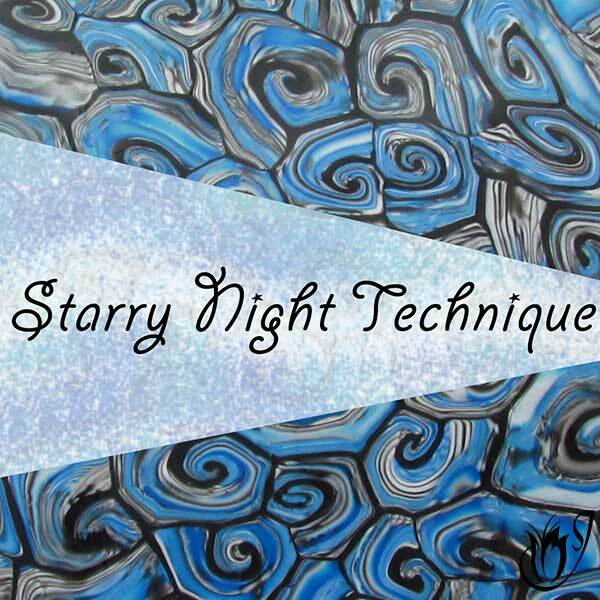 Varnishes are notorious for their unpredictable reactions with various mixed media, and a film of translucent liquid polymer clay can prevent all sorts of problems. Personally, I don't recommend it as a substitute for varnish. I find that there are far better alternatives. But I know that some people love it, so it really is a matter of personal preference. 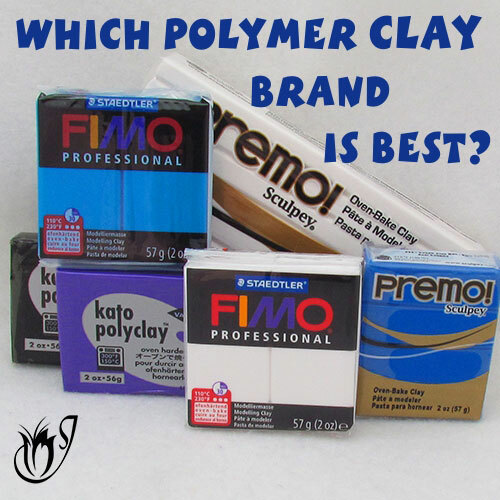 If you've never used liquid polymer clay as a sealer before, and you're not sure which one to use, I discuss which ones are best, and why, in my article: Which Liquid Polymer Clay Sealer Should I Use? Why are there bubbles in my baked liquid clay? Bubbles can be a real problem. 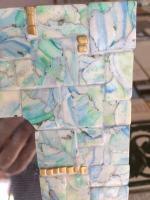 They interfere with the translucency of the finish and leave your bead looking a bit of a mess. The best way to rid your life of these pests is to simply let your raw liquid polymer clay coating sit for a few hours before baking. This gives the bubbles time to rise to the top and all you have to do is go and poke them with a pin. Please note that the bead must be baked though. If you leave liquid clay lying around on raw polymer clay, it will leach into the clay and make a mess. Also be aware, that leaving the liquid clay for too long before baking can interfere with some surface effects like alcohol ink and gilders paste. If the wet liquid clay sits on them for too long, they can leach into the liquid clay and discolor it. 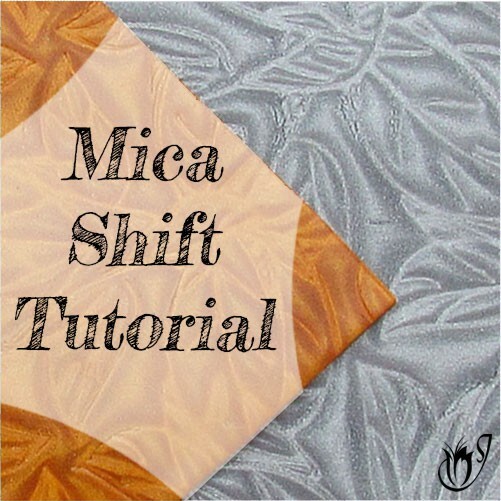 It will also cause your effects to appear smudged after the liquid polymer clay is baked. Why is my bead clouded? Here you can see that I've got too much liquid clay on my beads and it's bubbly and cloudy. Your layer of liquid clay is too thick. 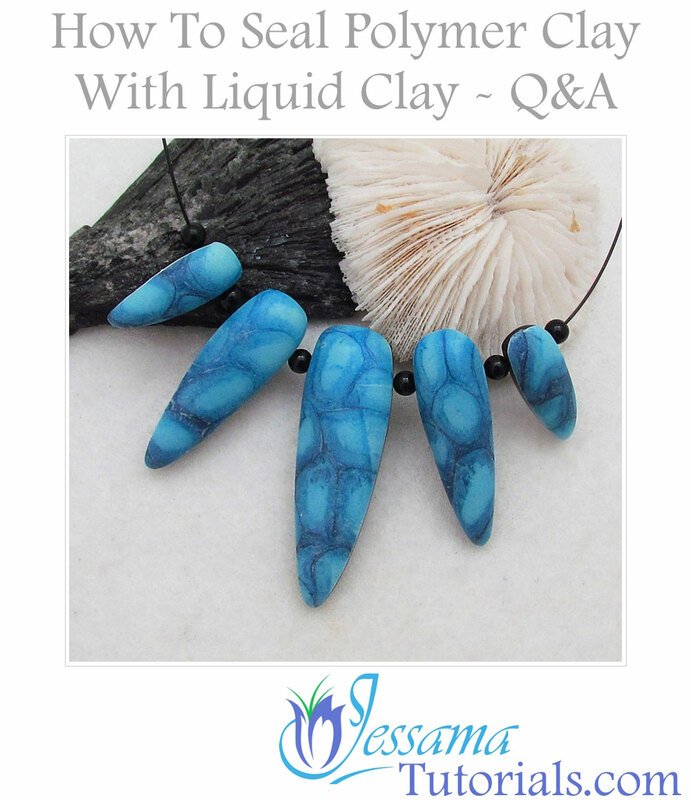 If you put too much liquid clay onto your bead it won’t be translucent enough after baking and will appear cloudy. Your liquid clay didn’t get hot enough. This is a common problem when baking liquid clay in the oven. The liquid clay needs to reach a higher temperature that the normal blocks of clay. The way to counteract this is to bake your liquid polymer clay and then blast it with a heat gun. The heat gun will get your liquid clay really hot. Do be careful though. If your polymer clay bead underneath the liquid clay gets too hot it will burn. So take it nice and slow. This can be a bit tricky in the beginning, but practice makes perfect. There are only two translucent liquid clays on the market at the moment. 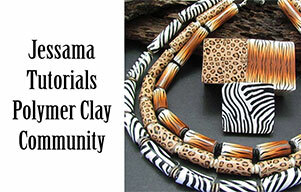 To find out which one is best suited to your needs check out my article: Which Liquid Polymer Clay Sealer Should I Use? 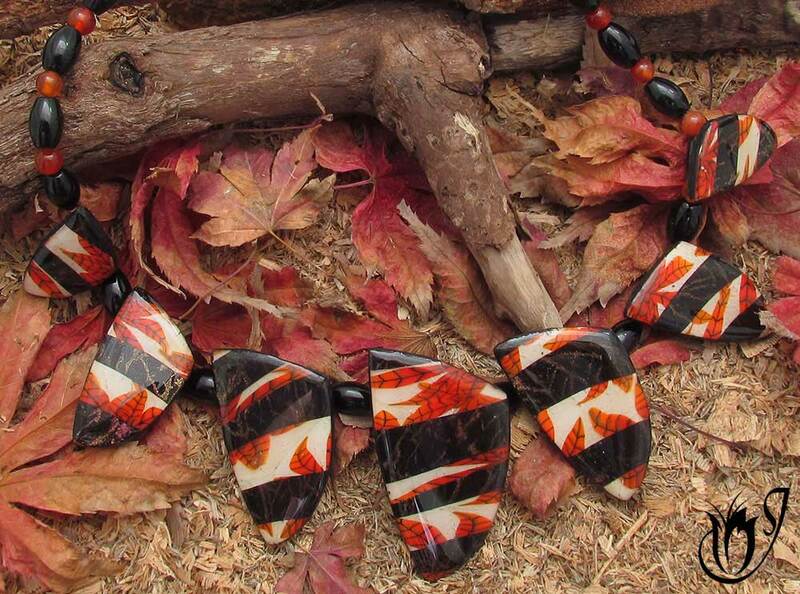 A polymer clay necklace with an autumn theme. Learning how to seal polymer clay with liquid clay can be fiddly. It took me a while to get it right. But it can be a useful tool to have and many people even like to use it in place of resin, so a bit of perseverance can pay off. 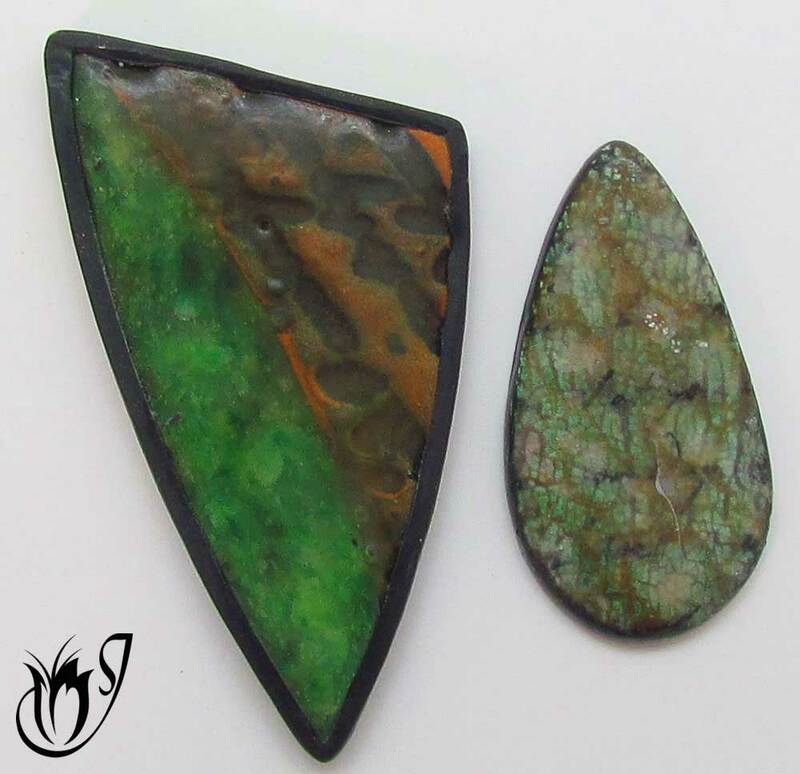 Having said that, each polymer clay sealer has its place, so be sure to check out the rest of the articles in this series listed below. 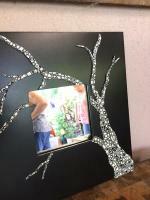 Do you have any other questions about using liquid clay as a sealer? Let me know in the comments below and I'll add them in. Please like and share with your friends. Let's share our ideas.